This book is too gory even for Tess & even for me - both physicians. The concept is horrifying. In this well-written journey into the minds of those who would inflict incredible pain upon randomly-chosen victims and those who are charged with stopping them, Dr. Gerritsen introduces some characters we will be happy to follow and others who might give us nightmares. If you like the genre, this is one of the betteer ones. 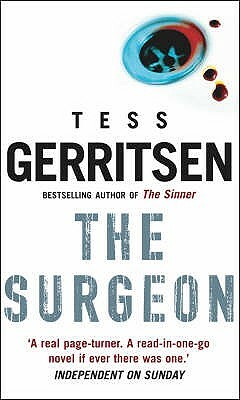 Since The Surgeon, I have read three more of Tess Gerritsens' books and ordered two more. She is wonderful. You feel like you are there. Excellent! Hard to close the book once the reading begins. Followed the TV show with a slight twist at the end. Can't wait to read the other books in the series. Yet another fantastic book by Tess.. I cant wait to read the apprentice.. A book that keeps you wanting to read more.